Delonghi is a quality domestic appliances brand that offers a range of premium kitchen products including toasters, kettles and coffee machines. Established 1902 by the Delonghi family in Treviso, Italy, the company workshop produced small industrial parts and spares. Eventually the business developed into a fully incorporated company in 1950, and expanded to produce most small domestic appliances. Delonghi has built a reputation for innovation and style, and is recognised for its award-winning design. The Delonghi brand has global recognition with a number of international sales and manufacturing subsidiaries in 75 countries worldwide. 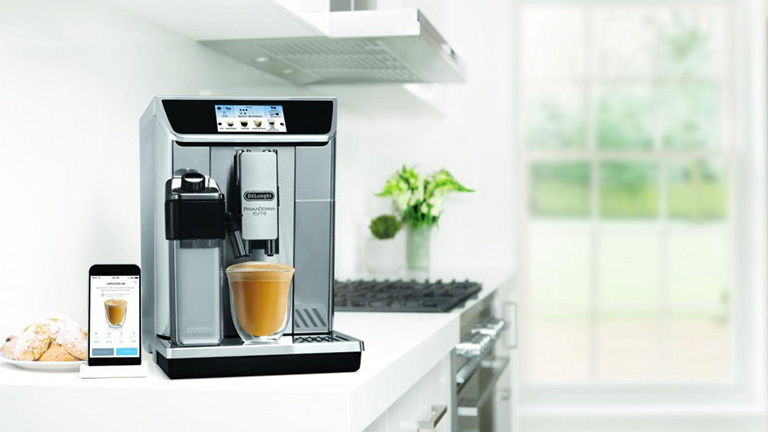 Delonghi’s coffee machines come in a range of designs, including espresso machines with built-in coffee grinders and automatic features. 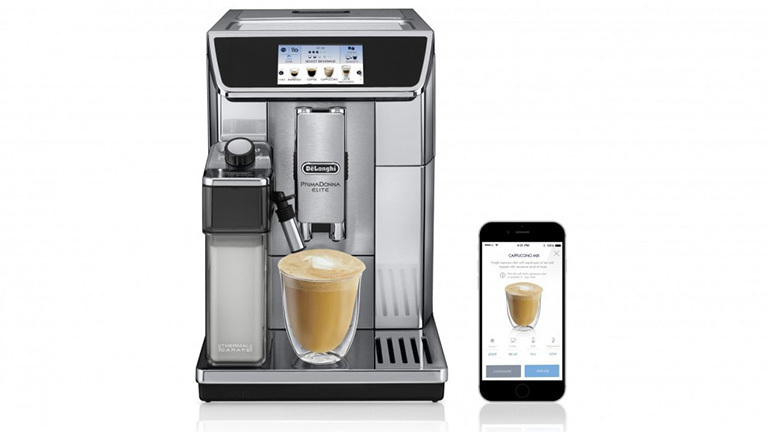 Advanced functions on Delonghi coffee machines, including app connectivity on the PrimaDonna Elite, allow you to personalize program settings for multiple users, so each member of your household can enjoy a coffee to suit their taste at the touch of a button. 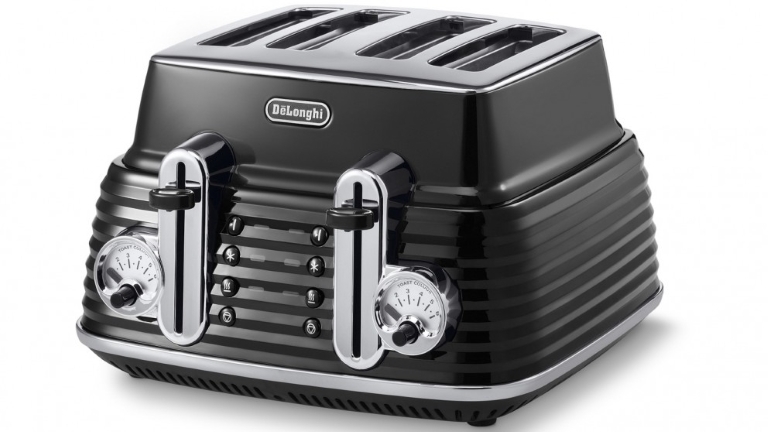 The toasters in the Delonghi collection come in a range of classic Italian designs, including 2 slice and 4 slice models. Toast your favourite breads to perfection with th automatic settings. Delonghi toasters have a high-gloss finish with chrome detail that complements any modern kitchen design. Form matching toaster and kettle sets from the Scultura and Icona range of toasters and kettles. 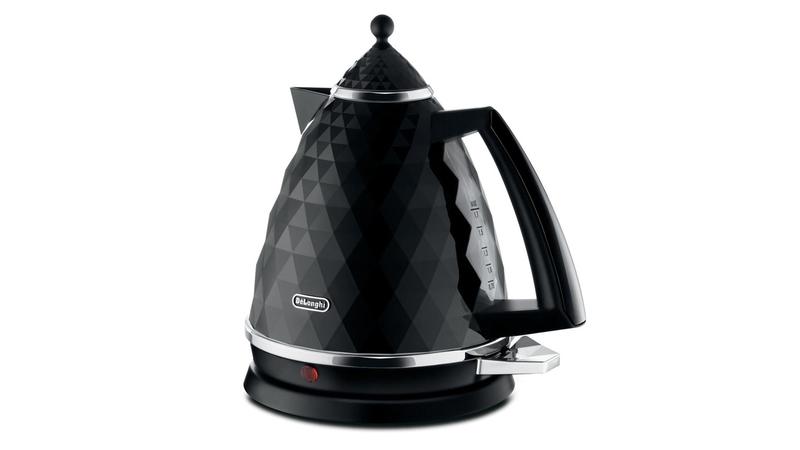 Delonghi kettles share the classic Italian style of other small appliances across the Delonghi range. The high-gloss finish with chrome detail on the Delonghi kettle range complements any modern kitchen design. Form matching toaster and kettle sets with the Scultura and Icona range of toasters and kettle.